Last weekend was a great time to train our newest Wetlandkeepers. 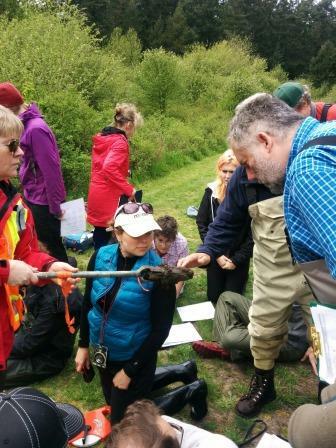 Participants came from all over British Columbia to learn about mapping, measuring, and monitoring wetlands. Sponsored by the BC Wildlife Federation and organized by the Mid-Vancouver Island Habitat Enhancement Society, this two and a half day course was full of fun activities as well as knowledge to carry these Keepers forward in their own communities. For more information and to see the class in action, click here.